Sump pumps can take a beating. Are you looking to troubleshoot yours? How can I troubleshoot a sump pump? Several things could potentially cause a sump pump to stop working, including loss of power, motor failure, float control failure, pump failure, piping failure, and crusting. This last one is a particularly relevant one that might not immediately occur to you. Crusting occurs when water previously filled the pump pit and then evaporated, leaving behind mineral deposits that form a “crust” on the pump, making it appear to be locked up. There are a few things to investigate first when troubleshooting sump pump failure. The first thing to check is whether or not there’s power to the receptacle in which the pump’s cord is plugged. If it’s a GFI receptacle, make sure that it is not tripped. Second, make sure that the pump is not plugged up with heavy debris. Sometimes there is so much debris in the pit that it effectively prevents water from getting into the pump; thus, the pump cannot pump out the water. If you find a significant amount of debris at the pump base, unplug the pump, clean as appropriate, and try it again. Crusting (described above) can be addressed by unplugging the unit, safely turning the shaft or impeller by hand (to break up the crust), and then trying it again. Be sure to call a professional if you’re not 100% sure about what you’re doing – it’s always better to be safe than sorry. Additionally, you know it’s time to call a professional if the pit looks clear, you’ve checked for crusting, and there is power to the pump but it still does not work (or if the circuit breaker that services the pump continues to trip). 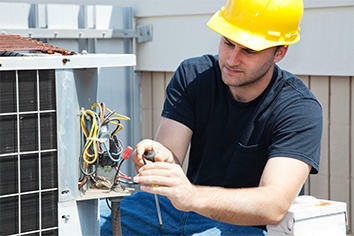 Be sure that the pump is not obstructed or clogged up in any way and that it has a reliable power source. If problems persist, call a professional!